Has anyone got the PNP over HTTP to work with the Aastra 480i CT phone? I don't believe that will work. At least the pnp.xml file does not contain anything for the 480i CT. If the config files (templates) are available, we can add it to the upcoming versions. here is info i received from a aastra rep, i have the admin guide and latest firmware, let me know where and i will email it. Go to the Aastratelecom.com web site. Navigate to: Support/Download Area/ SIP Telephones/. Find the model phone that you are upgrading. Down at the bottom of the page see "Current Software Release" and download to your PC. Unzip or extract the firmware to the Pumpkin folder. Check the name of the file (it should be called "phone model.st"). Now go to the web interface of the phone, firmware update page. Put the ip address of the computer that has pumpkin running on it and the filename (51i.st) in the filename field and hit download firmware. Aastra phones have two cfg files aastra.cfg and "mac address".cfg. The aastra.cfg goes to all of the phones and the mac.cfg will only go to the phone with that mac address (mac address is a unique number that is assigned to a device ie. a phone or computer). In order to use cfg files you have to have an aastra.cfg file but you do not have to use a mac.cfg. Authentication Settings (ie. phone number or extension and sip password) would be an example of settings that would only go to one phone so would be in the "mac address".cfg file. Sip Network Settings (ie. registrar server and proxy server and port settings) would be an example of settings that would have to be in all phones and would be in the aastra.cfg file. When creating cfg files use a text editor (Wordpad) and save file as aastra.cfg or "mac address".cfg. Keep in mind that Local.cfg (web or telephone applied settings) will always override server.cfg (config server loaded). Also mac.cfg statements will take precedence over the same statements in your aastra.cfg. Create the cfg file, put it in the TFTP server folder, Go to the Configuration Server Settings page on the web interface of the phone and enter the Download Protocol and the TFTP Server IP information. When the phone is rebooted it will load the file. Loading directory files into the phone. You can load directory files just as you would with regular cfg files. Add the statement below to your aastra.cfg file. Then create your directory list as a text file (see below) and name it companylist.csv. Put the companylist.csv file in your TFTP server folder and reboot the phone. As the phone reboots and loads the aastra.cfg file it will also load the directory file. There is more information regarding this in the Administrator Guide. 1. Power on unit, and allow initial boot process. After boot process has completed, hit the menu button. 2. The menu button is located on the top-left side of the phone. It is the button that is located directly beneath the orange button and noted by the symbol below. 3. Scroll to the Network option and select. 5. Scroll to the IP Address selection. 6. Gather the IP Address and browse to that address using a web browser from a machine on the same network as your Aastra phone. 8. From the Aastra Web GUI configuration, click Line 1 located on the left-side of the page. 11. Click reset which is located on the left side of the page. 13. Your phone will reboot. 14. 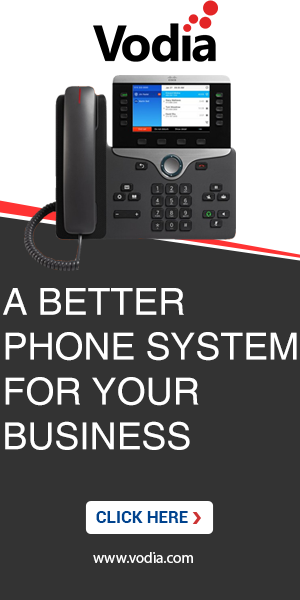 Your phone will register via your IP PBX or Service Provider and be ready for calls. Notice your extension on the unit after it reboots. You may also browse back to the web GUI in the status – system information to verify if “Line 1” is registered. 3. Login to the PBX and see if Admin->Settings->Access page has blacklisted (blocked) the Aastra IP address.